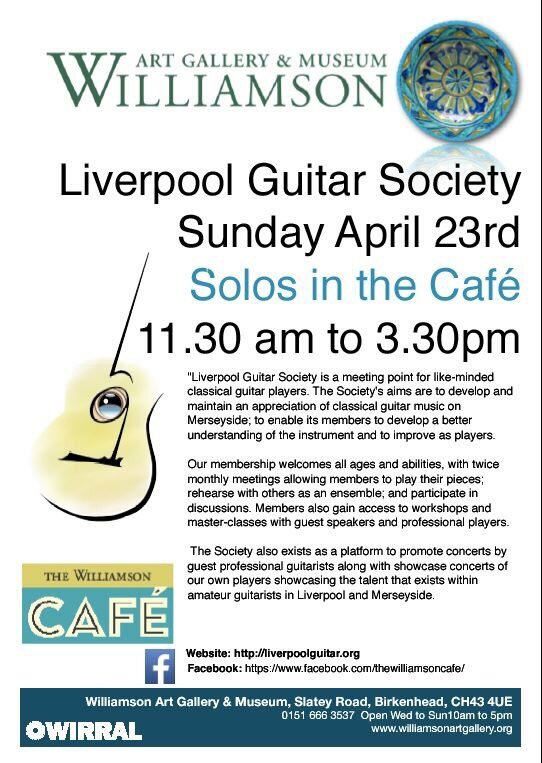 Members of the Liverpool Guitar Society will be playing in the Cafe of the Williamson Art Gallery and Museum on Sunday, 23rd April (11:30 am – 4:00 pm). Pieces will include favourites from all eras of classical music including works by Sor, Tarrega, and Barrios. Come along and listen to some guitar music while you enjoy a cup of tea or coffee.